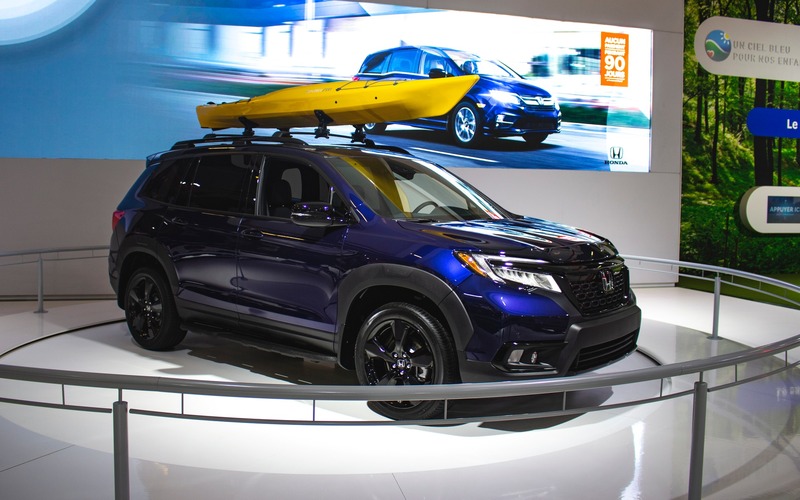 Unveiled to the world at the Los Angeles Auto Show in November, the 2019 Honda Passport is presented for the first time in Canada at the Montreal Auto Show. 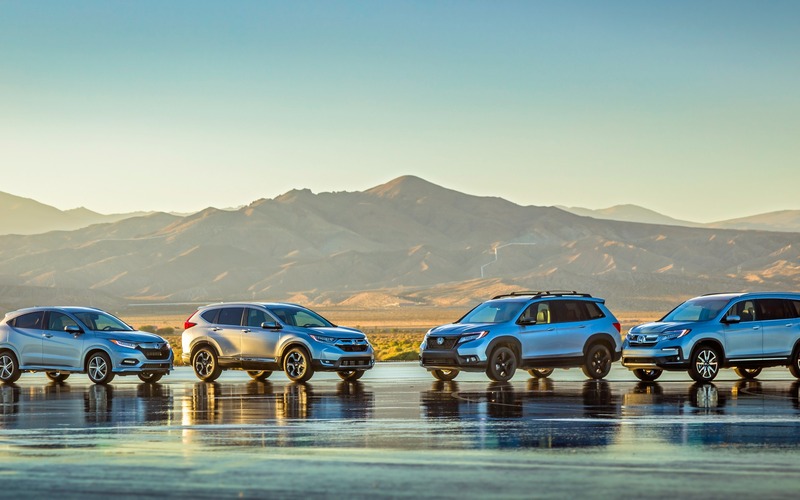 Positioning itself between the CR-V and the Pilot, the Passport becomes the fourth SUV in Honda’s current lineup. It will arrive in dealerships in early 2019. Under the hood of the new Passport is a 3.5-litre V6 that develops 280 horsepower and 262 pound-feet of torque. This i-VTEC engine is matched to the most recent iteration of Honda’s nine-speed automatic transmission. This proven powertrain is exactly the same as the one found in the Pilot, so we’re in familiar territory. The Passport will obviously be offered with AWD, but a front-drive variant will be available as well. The base version will be able to tow up to 3,500 pounds (1,588 kilograms), while AWD Passports will boast a maximum capacity of 5,000 lbs. (2,268 kg). 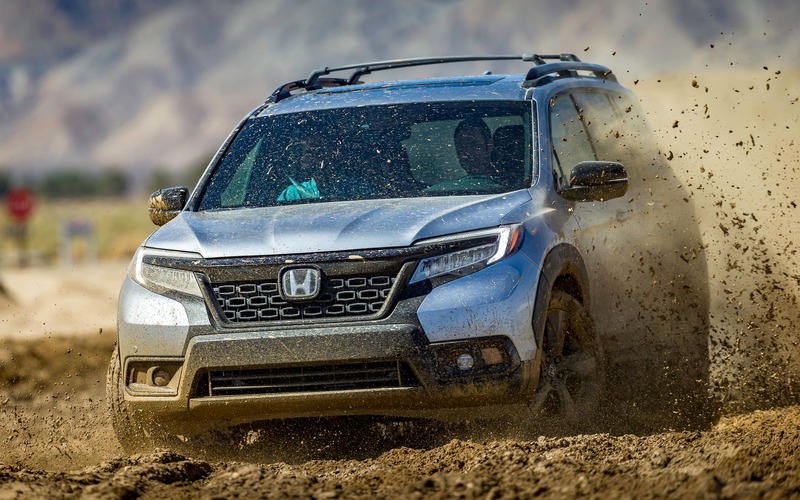 No matter which version of 2019 Honda Passport we choose, the SUV will be equipped with the Honda Sensing safety suite that includes, among other things, forward pre-collision warning, collision mitigation braking, lane departure warning, lane keep assist, road departure mitigation and adaptive cruise control. the name Passport wasn’t chosen randomly by Honda. It was the name of the very first SUV sold by the brand in North America back in 1994. At the time, it was pretty much a rebadged Isuzu Rodeo. Unlike the new model, the first Passport was sold only in the United States and never crossed the Canadian border.